Despite early advances, HIV has been on the rise in Uganda, making it a persistent public health problem. Since 2005, when HIV prevalence was at its lowest, the percentage of people living with HIV in Uganda has risen from 6.4% to 7.3%. This translates into 1.4 million people living in Uganda with HIV. The HIV prevalence increases for both men and women as the age into their older adolescents. Alarmingly, recent data suggests that for woman, the HIV prevalence triples from 1.6% to 5.1% over a two-year period – as they age from 15-17 to 18-19 years of age. Clearly, curbing the HIV epidemic in Uganda requires access to culturally salient and theoretically-driven HIV prevention programming for adolescents as they age through this period of risk. 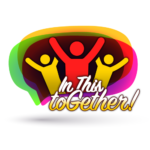 To that end, we are currently developing, In This Together (ITG), the first-of-its-kind comprehensive HIV prevention program for Ugandan adolescents sent via text messaging. The program will be delivered to 18-22 year old Ugandans adolescents, aptly timed to arm them with the skills necessary to reduce their HIV risk precisely as they move through a high-risk period. In Uganda, the Senga is the father’s sister typically responsible for offering female children advice and guidance – including sexual health advice – to youth as they transition from childhood to adulthood. Adolescents will be recruited nationally, online using Facebook, and is the first study that we are aware of that proposes to test an intervention nationally in Sub-Saharan Africa. The program will be developed and tested in partnership with colleagues at Internet Solutions for Kids – Uganda. This work is being funded by the National Institute of Mental Health.